Less stresses to downstream equipments during short circuit due to lower let through current. Low power losses resulting in high economy and minimal heating. 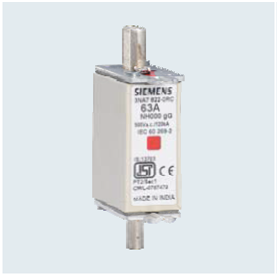 Safe and reliable breaking capacity from the smallest overload upto the largest shortcircuit current. Finely graded selectivity level for the optimum use of cable cross sections. Constant characteristics even under different temperature conditions.